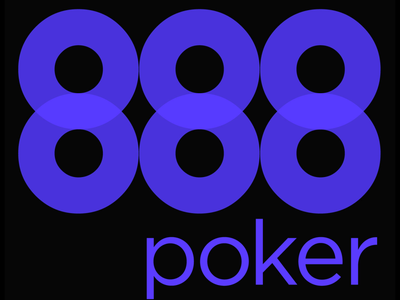 888poker have always been a pretty big online poker site. But over the past couple of years they’ve really taken off, becoming the world’s second largest poker room behind PokerStars. However, given the fact that the global online market has fallen by 8% this year, you’d think that 888’s growth would have stopped in the process as well. The truth is, though, that the company have continued to grow after showing a 1% traffic increase in the second quarter of 2014. Sure, this isn’t an eye-popping figure. But considering how other poker sites are struggling, it’s pretty amazing that 888poker’s traffic increased. Regarding overall internet gaming revenue, 888 Holdings plc earned $111 million in Q2 2014, which is 15% higher than last year’s same quarter. Bingo and casino games were huge catalysts after experiencing increases of 17% and 15% respectively. Now, here’s a look at some observations from 888’s impressive quarter. Like many poker rooms, 888 are focusing on the recreational market. And this is a big reason why their overall traffic increased 1%, activity by current members increased by 12%, and poker revenue rose by 2%. The one weird thing about all of this, though, is that revenue per player dropped by 9%. And this is where you can really see how 888’s membership base is transitioning to recreational players, who play lower stakes on average. 888’s largest customer base comes from the European players that they serve through a Gibraltar gaming license. The company also holds a license in the regulated Spain market. Based on cash game traffic, 888poker rank second in both markets. They also hold the second spot in PokerScout’s rankings, with 2,100 hourly cash game players at the time of this writing. This figure is 300 players ahead of third-place iPoker, but well behind PokerStars’ top mark of 19,000 players. 888 Holdings have really found some success in the relatively new US online gaming market. Their software holds a monopoly in Delaware, while they run the platform for WSOP.com in both New Jersey and Nevada. Overall, 888’s business-to-business revenue has increased 37% this year thanks to the US operation.